I posted a picture a few days ago briefly discussing how this product is great for dry skin or anyone who lives in dry climates. It has been a lifesaver since I came to Colorado. My skin is normally a little dryer here so I have less blemishes but I still like to keep my skin hydrated. This spray is perfect if you need to moisturize your face quickly without stickiness and before applying or setting your makeup. I like to use this while I'm snowboarding too in between runs to keep my skin from getting chapped. If your hair is damaged, tame your flyaways with this spray versus hair spray (thank you Melissa Joan Hart). It also has a cooling effect when you spray it so you could actually bring it to the beach to cool off and feel refreshed. Dry skin girls double up with this to look fresh and dewy. This 100% natural lip balm is a little different than the usual Burts Bees. 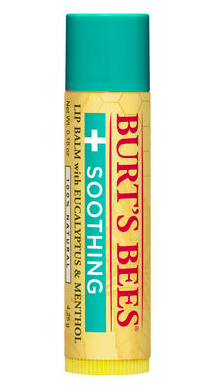 It contains beeswax like the original but it contains Eucalyptus and Menthol. Not only does it moisturize with added shea butter, but it also tastes like mint and gives you a cooling feeling on your lips. However, if you have severe dry lips I would stick to Carmex. This paraben and dye free conditioner is thick enough for the driest of hair but leaves the hair soft and light. This product contains Aloe and passion fruit and can be used daily. 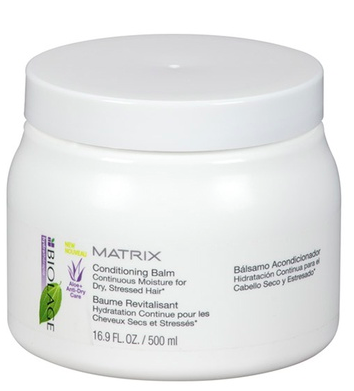 I love all Matrix brand products. I started using ever since I can remember getting my hair cut and I always will go back to their products when I'm looking for stuff because I know I will be happy with it. After all these years, I still haven't found one product I disliked from the brand. This is a ultra concentrated scar cream that contains peptides, antioxidants, and collagen you use before you go to bed. Since I have started using it after my surgery over a month ago, I have seen a big difference in my scars. My scars have flattened more, faded from a purple shade to a red shade, and one out of my three scars is almost completely gone. I use the regular formula in the day and this cream before I go to bed. Keep in mind scars in general are hard to get rid of so be patient. It will take about two weeks to see visible results. I have a sample size of this I received from a limited edition holiday set which I use for traveling. This scent is perfect for summer because it's not too sweet or warm it just smells fresh. The main scents blended are water lily, mandarin flowers, and orange zest. Perfumes are a little tricky because they are very personal. If you like fresh scents, you will love this. Thanks for reading :) please visit back for Manicure Monday!